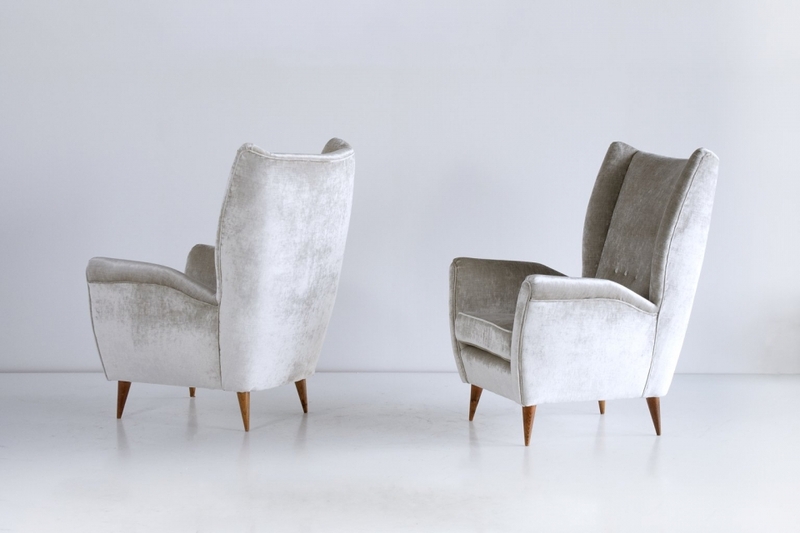 These high back armchairs were designed by Gio Ponti in the late 1940s. 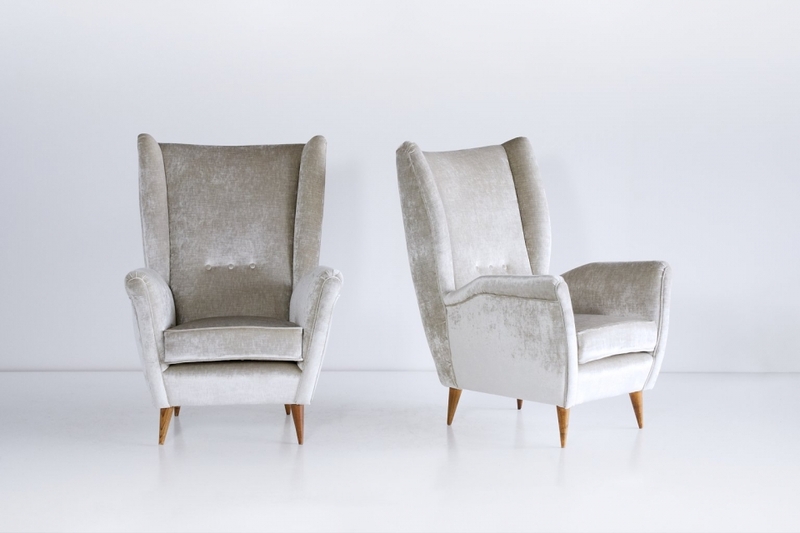 The chairs are characterized by their strikingly modern lines, elegantly tapered walnut legs and generous proportions. 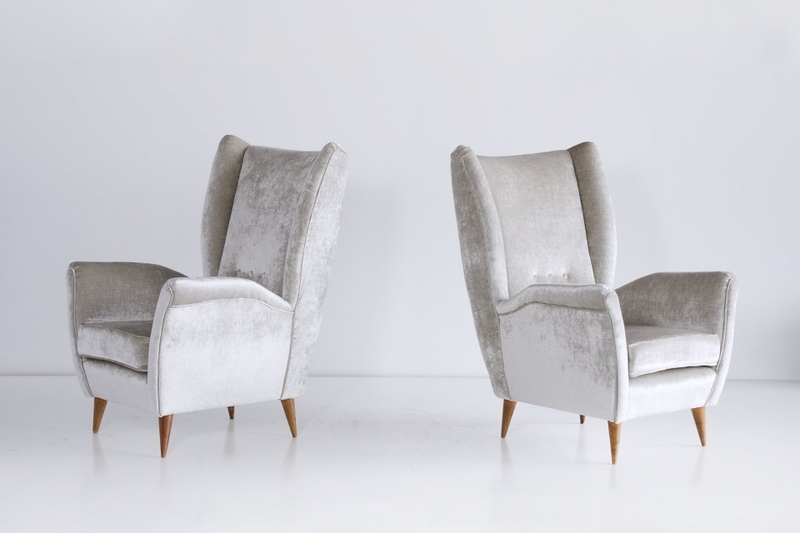 The comfortable armchairs have been fully reconditioned and newly upholstered in a silver gray velvet. The soft yet durable linen velvet fabric plays wonderfully with the reflection of light, presenting matte and gloss effects. Expertise and certificate number 16204/000 by the Gio Ponti Archives.